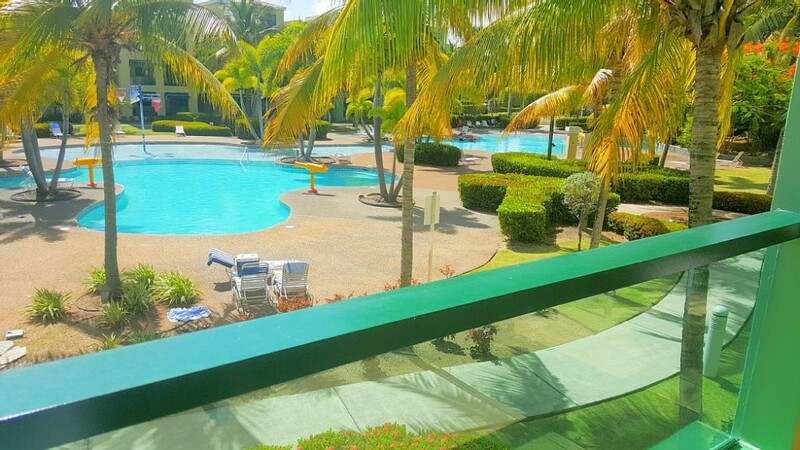 Aquatika 2nd Floor WaterPark Front with A/C in all Areas More EXTRAS! You can stay in one of the few truly PENTHOUSE IN AQUATIKA with MORE EXTRAS at BETTER PRICE AND SERVICE! Aquatika is a beautiful family resort-type. Receive the BEST guided service. We will be your private ambassadors here in Puerto Rico, available 24-7 for all your questions during your stay and prior to arrival. MORE EXTRAS, BETTER PRICE AND SERVICE, We offer the best accommodations in Aquatika with FREE HS Internet with Wi-Fi, ROKU TV with Netflix and our Exclusive App with hundreds New Movies, TV Series, 300 Live TV Channels, Concerts and More; TV LED, George Foreman BBQ Grill, Beautiful Decoration with Modern Furnishing, Wheels Cooler, Include Shampoo, Conditioner and Body Wash, We have a Spice Rack on Kitchen, All Towels for Pools and Regular, Phone and Tablet Multi Charger, Washer/Dryer, Take a Suntan in our "Hamacas" in the open terrace and receive a Very Special Hand Craft GIFT with Puerto Rican Products!! Book Now! You and your family deserve only the best! All rooms have a new A/C and ceilings fans including the living room. We ensure that ALL the linens are clean at the LAUNDRY before all reservations. And we give you the apartment CLEAN with our Housekeeping Service. We can provide if you want as additional cost daily housekeeping service! You have towels for pools or beach for each guest and towels for the bathroom. We have hot water on the apartment! We include shampoo, conditioner and body wash dispensers, so don't need to bring or buy this! Our Kitchen is fully equipped with everything you need to cook, including make pizza! Including a Spices Rack, son don't need to buy. Electric appliances: stove, refrigerator with ice maker and filtered water, dishwasher, microwave, toaster, blender, and coffee maker. A complete set of dishes, mugs, glasses, glass of wine, silverware, utensils, pots and pans are all provided. Separate dining areas include a kitchen counter bar with two stools, a formal dining table with six seats and an outdoor relaxing patio set seating. Beach Chairs, floats, Cooler, Basketball, Volleyball, Tennis Balls, Mini Golf Putters, Golf Balls, and other Beach Toys are provided!